What I usually enjoy most about listening to a new recording is the mystery of not knowing anything about it at the first listen – and then going through the process of learning about the music, the musicians, and perhaps the stories behind the music. If you too would like to keep some of that mystery intact for a while longer, you might want to stop reading here, as I am about to share a bit of background into this set of music. Since September of 2001, I have endeavored to dedicate four weeks every year solely to the task of composing by going to an artist residency where this is possible. Often this is the only time in my busy schedule when I feel like a real composer, and it is always a time of personal growth and recognition. My first retreat was at heaven on earth: the Blue Mountain Center in the Adirondack Mountains of upstate New York. I cannot express in words what this amazing place, and more importantly the truly incredible people there, gave me on my first and every subsequent visit – but I hope that this recording can express through music at least a sliver of my profound gratitude. In addition to Blue Mountain Center, I have also spent important “alone time” at the Wurlitzer Houses in Taos, NM; Yaddo in Saratoga Springs, NY; and last year at the beautiful Liguria Study Center in Bogliasco, Italy, where most of the music on this recording was written. 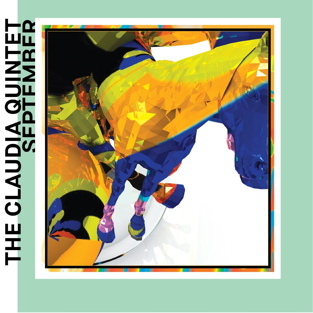 September has most often been the month for these retreats – it is a wonderful month and for me also the equivalent to Thursday, my favorite day of the week which I have celebrated in song on the first Claudia Quintet CD! September is a time of transition from summer to fall, a time when I can enjoy being outside during the day and inside for the cool evenings. Like most Americans, my own September 2001 experience has stuck with me. So much so that I realized I cannot think or see or write down a date in September without those memories coming back to me. Last September I came up with the idea to write music that was somehow tied to other days in September in the hope of trying to rework and transform the traumatic residue through composition. I am especially interested in how, through the simple non-violent act of composition, one can help oneself become a better person, deepen ones connection to humanity, and create work that can soothe and heal. The dates in the titles are in most cases the dates when the compositions were started or sometimes when they were finished. At first, the dates were merely a method to save these ideas as files in my computer in an organized way. The sub-titles were then a way to further identify some quality of each idea to give it its own space and feel. Sometimes the sub-title refers to the main thrust of the piece, sometimes just the first thing that inspired me to begin the composition. My other main objective for this particular set of music was to create music for the Claudia Quintet that could be communicated to and performed without using written music. This has been a goal of mine for quite some time, but my usual compositional approach has often gotten in the way of making something that can be easily learned by rote and/or memorized. For this album, as the first attempt at realizing this goal, I wrote down as little as possible during the compositional process in order to keep the music in the aural world for as long as possible. I felt that the longer I was able to work out the piece without notes on a page, the easier it would be for the band to learn and memorize the music without having to rely on notation. In the end, some music did need to be expressed on paper, but we have nevertheless made a welcome leap into a world without music stands and we are happier for it. Enjoy!